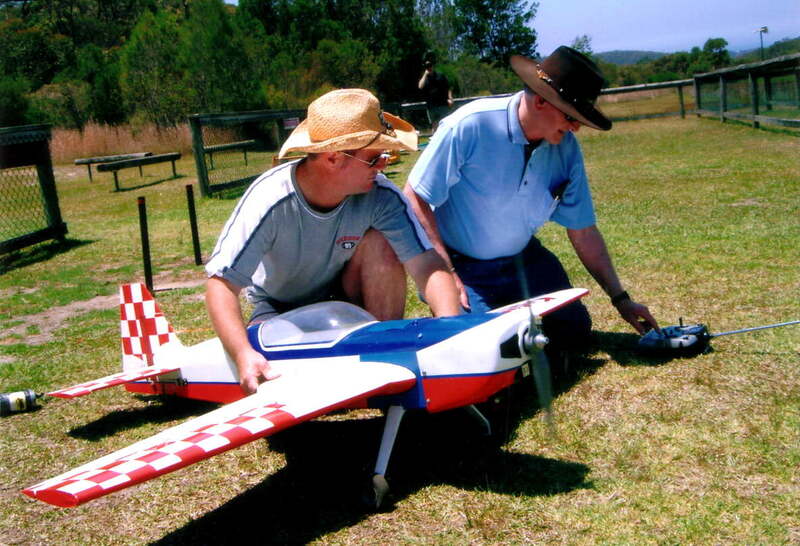 WE INVITE YOU TO JOIN US so you, too, can experience the pleasure of building, assembling AND piloting your own aircraft. Visitors are welcome at WRCS - come for a chat, enjoy watching the flying, or do a bit of research on starting up in this wonderful hobby. New modellers are strongly advised to seek advice before purchasing radio, aircraft kit or motor/engine. Please ask for help - we're always happy to chat. You can contact one of our committee at this LINK. Before you spend a cent (and waste your hard-earned money) come down to the field to get a feel of the sport. There are experienced members & instructors who will ensure you proceed down the right path when learning to fly. You can gain access to the flying field by waiting for a member to let you in at the gate. For the uninitiated (who have a model and want to fly), there are instructors who will trim & maiden the aircraft to make sure it’s performing as it is designed to do. WRCS has qualified instructors who will take you to the first level for solo flying - your Bronze or Silver Wings depending on the aircraft type. Training is usually done on a ‘buddy cord’ system (dual control) where the instructor has the master transmitter & the student flies using the slave transmitter. If the aircraft goes awry, the instructor, by releasing a switch takes control and gets things back on an even keel - ready to hand back the aircraft to the student. The next qualification is Gold Wings where the pilot is put through a series of specified maneuvers. Gold Wings allows you to fly unlimited and participate in large events at other clubs as well as public displays, and is the qualification required for flying aircraft over 7kg in weight. Our club Chief Flying Instructor for fixed wing aircraft is Doug Radford, and Doug will be happy to chat with you and make sure that you have an instructor allocated, from our pool of qualified volunteers, to look after you and get you flying solo. If you have your own aircraft and equipement, and can fit in with the availability of an instructor, then instruction is usually free of charge. Doug can be contacted at the telphone number found at this LINK. We'll see you at Belrose!